This year marks the 50th anniversary for BioTek Instruments. During that time, BioTek has grown from a small garage startup to a leading company in the markets it serves. 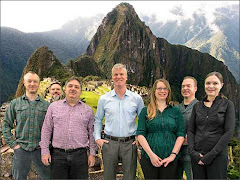 Much like science, BioTek’s growth was not always a steady progression, but rather a series of rapid leaps, slow growth, and even a few regressions over time. BioTek got its start manufacturing biomedical safety test equipment and later moved into the realm of microplate readers and washer products that served the burgeoning ELISA market in the early ‘80’s. More recently, the company has developed a series of microscopy products. While always moving forward it is important to take a look back at where we have come. Over the last half century, there have been a number of remarkable scientific achievements in which instrumentation designed and manufactured by BioTek played a role. Here is a brief recap of some major discoveries that have shaped the scientific landscape. In 1980, the World Health Organization announced that smallpox has disappeared worldwide. This infectious disease killed untold millions over the course of centuries, and its eradication through widespread vaccination was a crowning achievement in public health. Smallpox was the first and only infectious disease of humans, to be eradicated by deliberate intervention. Recombinant DNA are artificially produced DNA molecules specifically engineered by the combination of genetic material from multiple sources. Recombinant DNA molecules are sometimes called chimeric DNA, because they can be made of material from two different species, like the mythical chimera. In 1978, Werner Arber, Daniel Nathans and Hamilton Smith were awarded the Nobel Prize in Medicine for creating the technology to discover, isolate and apply recombinant DNA. Recombinant genes and proteins are now widely used in all fields of biology. 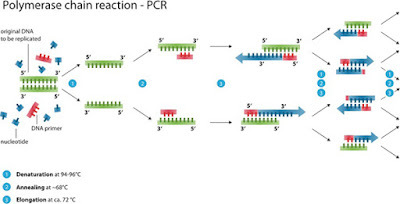 Polymerase chain reaction technique for DNA replication was discovered by Kary Mullis, who won a Nobel Prize in 1993 for PCR’s ability to dramatically increase the sensitivity of analysis involving nucleic acids. PCR has become the foundation of modern genetic research, ranging from medicine and evolutionary biology to criminology. PCR-based strategies have propelled huge scientific endeavors such as the Human Genome Project (see below). The technique is widely used by researchers and clinicians to diagnose diseases, clone and sequence genes, and carry out quantitative and genomic studies. Polymerase Chain Reaction. Schematic representation of logarithmic amplification of DNA sequences with PCR. Curtesy of Wikimedia Commons. In 1983 Dr. Françoise Barré-Sinouss and her colleagues at the Pasteur Institute isolated the retrovirus that causes AIDS. The discovery of the human immunodeficiency virus marked the beginning of a continuing effort to develop treatments for a disease that was at the time seen as a death sentence. There is now evidence that it jumped species to humans, probably in the late 19th or early 20th century. Stem cells are pluripotent cells that have a capacity to undergo self-renewal and also at the same time have the ability to give rise to at least one or more differentiated or mature cell types. Stem cells are necessary for the production of new and replacement cells for tissues during development and homeostasis, including repair following disease or injury. While scientists originally classified two kinds of stem cells: embryonic stem cells and non-embryonic or adult stem cells, a third type called iPSC has been developed, where differentiated adult cells are reprogramed to be pluripotent. These stem cells can be differentiated into any type of human cell needed for therapeutic purposes. 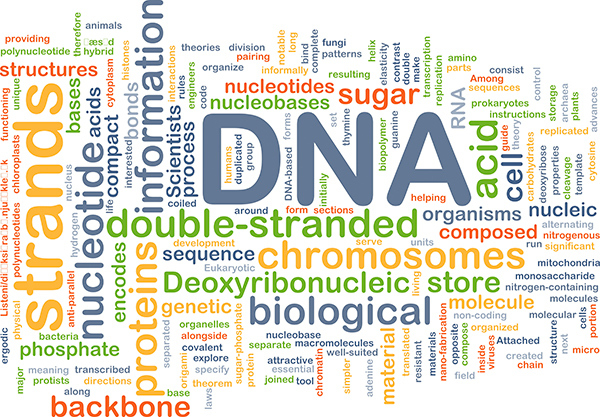 The Human Genome Project started in October of 1990 and was initially headed by Ari Patrinos and Frances Collins. In 2000, scientists from across the world finished a rough draft of the map of the human genome and the final version was realized in 2003, taking more than 10 years and costing about 2.7 billion dollars. The mapped genome shows the placement of every gene and every chromosome that contains all of our genetic material. With the information from individual genome maps, scientists can discover genetic diseases easier. Today, sequencing a human genome costs less than $1000. In 1996 researchers, announce the birth of Dolly, a Finn-Dorset ewe and also the first mammal to be cloned from the adult cell of another animal. She was cloned at the Roslin Institute in Scotland by British scientists Sir Ian Wilmut and Keith Campbell and lived there until her death in 2003 at the age of six. This achievement was followed by a string of other cloned species: ranging from dogs, cats, goats, monkeys and even extinct animal species. 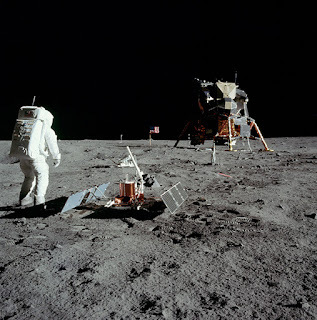 In 1969, humans made the first landing on the moon. On July 20, Apollo 11's Neil Armstrong became the first person to step onto the lunar surface. The landing was broadcast on live TV to a worldwide audience, who watched Armstrong step onto the lunar surface and describe the event as "one small step for [a] man, one giant leap for mankind." Buzz Aldrin later followed him. While certainly not related to biology, this event was a watershed moment for myself and countless numbers of others to want to become scientists. Buzz Aldrin and Lunar lander from Apollo 11 Moon mission. Picture taken by Neil Armstrong. Curtesy of Wikimedia Commons. My list is certainly not all inclusive, but these advances have stood the test of time in regards to their utility to science. I have only been around for half of BioTek’s journey, but it has been a remarkable journey. I look forward to the future of BioTek and science. To learn about the myriad applications of BioTek Instruments, visit our Applications pages.